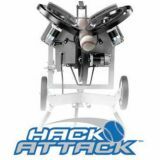 3-Wheel Machine throws any pitch from any angle. Top speed: 100 mph for baseball/90 mph for softball. 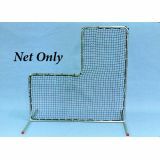 3 contact points for best accuracy. Exclusive digital control panel to customize settings. Gear crank wheels for fast, precise adjustment. 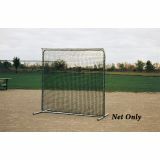 Designed for all levels of play: College, High School, Youth League and even the Major Leagues. Features a unique 3 wheel design that changes the breaking pitch plane by the turn of a dial. 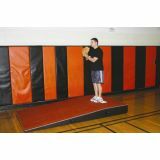 Underhand feeding motion, acceleration and release emulates a live pitcher. Dial-in pitch selection without head adjustments maximizes practice time. 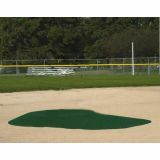 Choose from fastballs, risers, drops right and left handed screwballs. 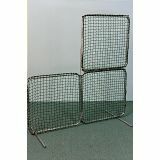 Pivots instantly for pop-ups, fly balls and grounders. Speeds 35-100 MPH and has a distance of 43 feet. Power supply 110 VAC-2000W generator with inverter technology (not included). Works with all ball types including leather. Comes fully assembled. 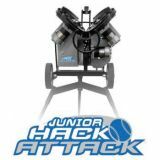 Designed for High School and Youth Leagues. Features a unique 3 wheel design that changes the breaking pitch plane by the turn of a dial. Underhand feeding motion, acceleration and release emulates a live pitcher. Dial-in pitch selection without head adjustments maximizes practice time. Choose from fastballs, risers, drops right and left handed screwballs. 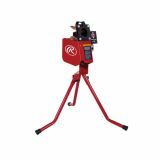 Pivots instantly for pop-ups, fly balls and grounders. Speeds 35-70 MPH and has a distance of 43 feet. Power supply 110 VAC-2000W generator with inverter technology (not included). Works with all ball types including leather. Comes fully assembled. 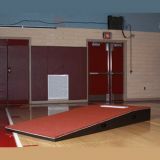 Made of heavy duty foam with skid proof rubber armor that will not damage floors. 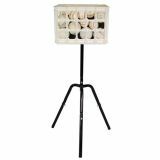 Can be used indoors or out. Improved reinforced back end for added durability. Made of spike-proof turf. Includes a mound caddy and recessed tape measure to measure distance from home to rubber.